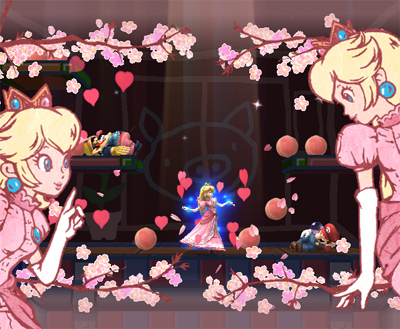 Friday the DOJO was updated with information on Peach’s Final Smash, a move called Peach Blossom. 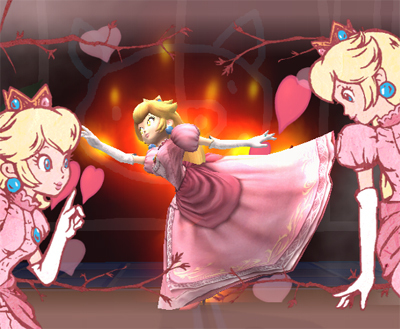 After peach picks up the Smash Ball. 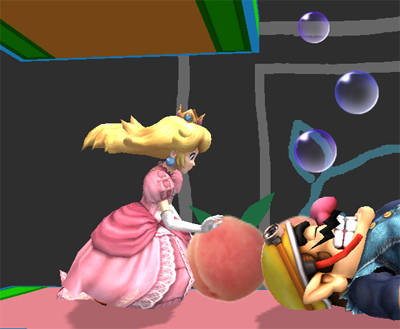 A plethora of peaches fall from the sky, and the character around Peach fall asleep. 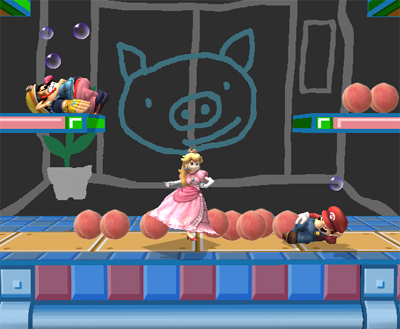 beach can either eat the beaches for a health restoration, or she can launch her foes of the screen. 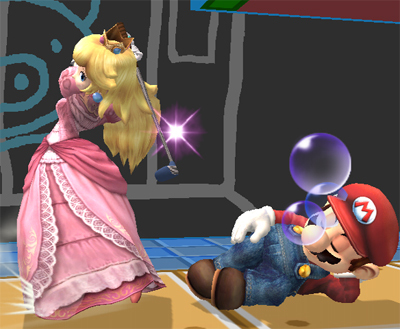 This entry was posted on Sunday, October 21st, 2007 at 11:17 am and is filed under Nintendo. You can follow any responses to this entry through the RSS 2.0 feed. You can leave a response, or trackback from your own site. This approach regularly amazes me ways web masters for example oneself can purchase a short time as well as the dedication and keep on the subject of creating great blog posts. Your web site issuperb and another connected with my very own have to study unique blog pages. I recently was mandated to thank you. Good day! I know this is kinda off topic nevertheless I’d figured I’d ask. Would you be interested in exchanging links or maybe guest authoring a blog post or vice-versa? My blog discusses a lot of the same subjects as yours and I think we could greatly benefit from each other. If you might be interested feel free to shoot me an email. I look forward to hearing from you! Great blog by the way! What i do not understood is actually how you are not actually much more well-liked than you might be right now. You are so intelligent. You realize therefore significantly relating to this subject, produced me personally consider it from a lot of varied angles. Its like men and women aren’t fascinated unless it is one thing to accomplish with Lady gaga! Your own stuffs excellent. Always maintain it up! Hi there! I simply wish to give an enormous thumbs up for the nice data you may have right here on this post. I will likely be coming back to your weblog for more soon. Great goods from you, man. I have understand your stuff previous to and you’re just too magnificent. 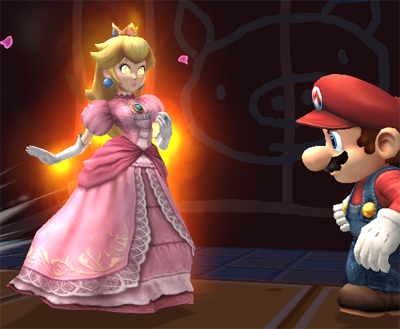 I really like what you’ve acquired here, really like what you’re saying and the way in which you say it. You make it enjoyable and you still care for to keep it smart. I can’t wait to read much more from you. This is really a tremendous website. Good ¡V I should certainly pronounce, impressed with your website. I had no trouble navigating through all the tabs and related info ended up being truly easy to do to access. I recently found what I hoped for before you know it at all. Reasonably unusual. Is likely to appreciate it for those who add forums or something, web site theme . a tones way for your customer to communicate. Nice task..
Hiya, Iâ€™m really glad I’ve found this information. Nowadays bloggers publish only about gossip and net stuff and this really is really frustrating. A excellent web site with intriguing content material, this is what I need. Thank you for generating this website, and I will probably be visiting once more. Do you do newsletters? I Canâ€™t uncover it. Woah this blog is excellent i love studying your articles. Stay up the great work! You understand, a lot of persons are hunting around for this information, you can aid them greatly.